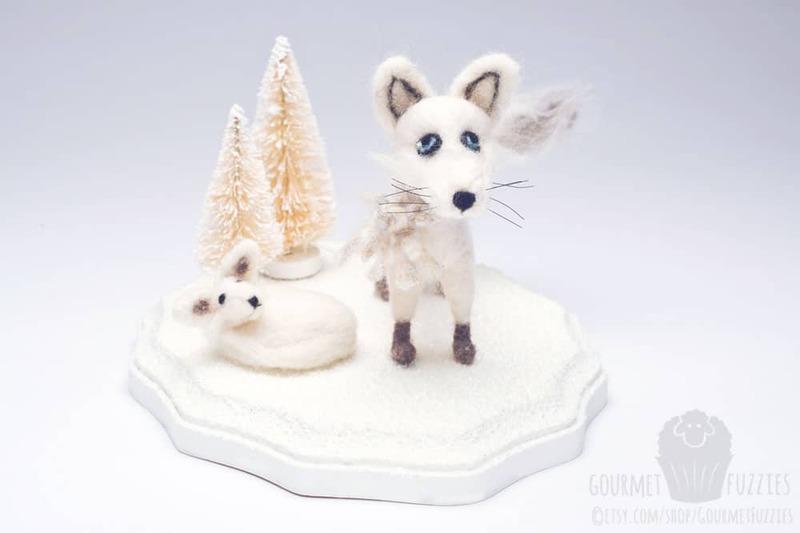 Arctic Fox Winter Scene - The Petite Provisions Co. This snowy winter scene was another Christmas gift, this time for my grandmother. 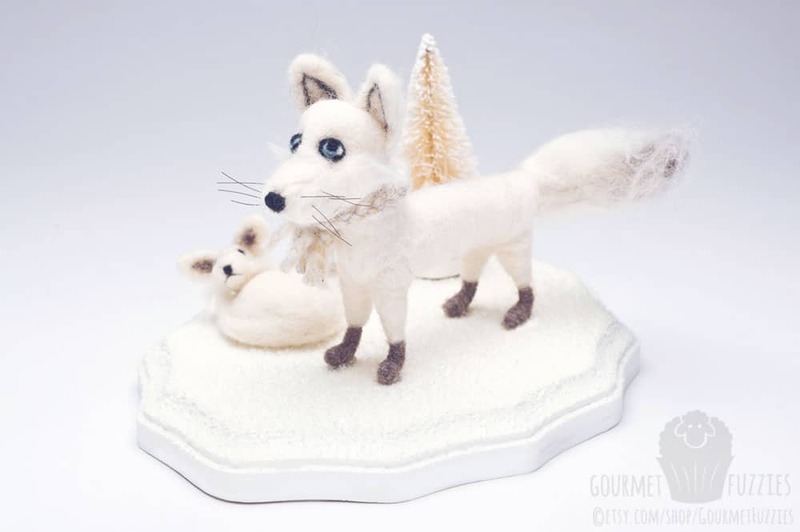 Anastasia the arctic fox and her baby are accompanied by snow-covered bottle brush trees!